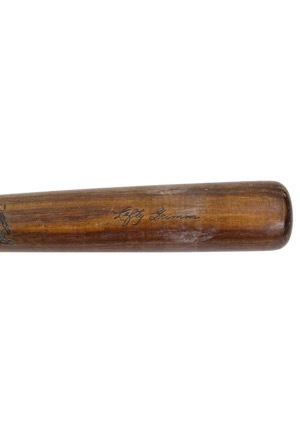 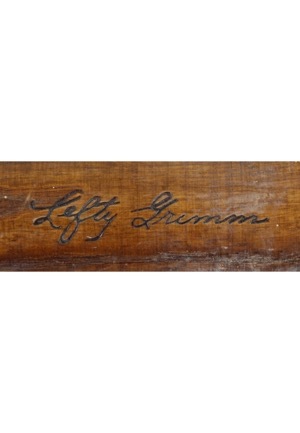 Two Charlie “Lefty” Grimm game-used bats, one from his playing career in 1916-1922 and an Old-Timers bat used in the 70s. 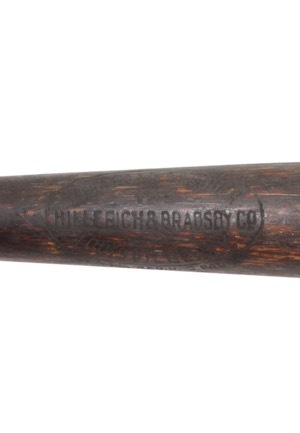 Both are Hillerich & Bradsby manufactured. One measures 34.5 inches and the other is 35 inches. They weigh 35.40 and 34.05 ounces. 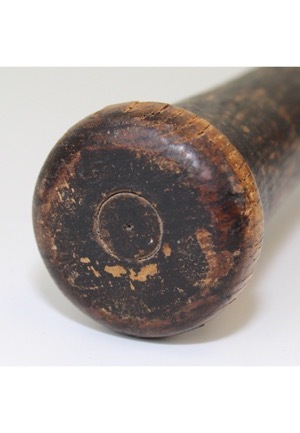 The player number “1” is handwritten on one of the knobs. 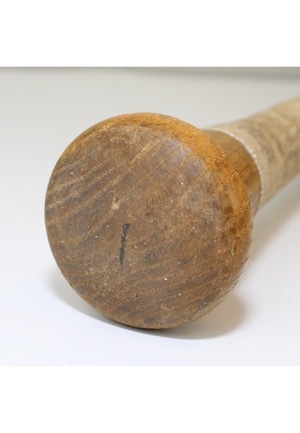 Both bats show evidence of use with vintage ball marks and chipping on the barrel. 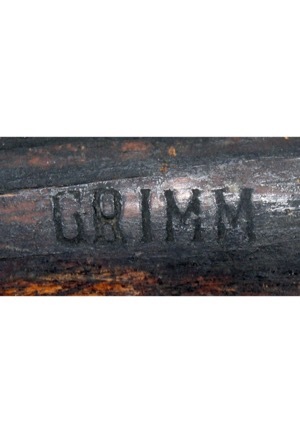 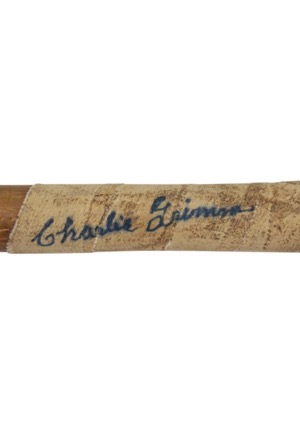 Grimm signed on one of the bats on the handle tape in blue marker and in our opinion the signature rates an 8. 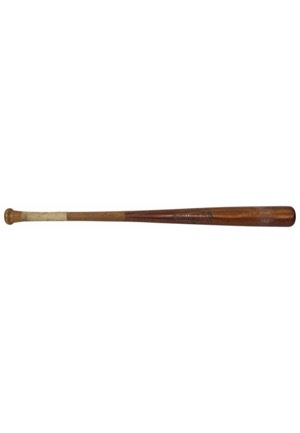 Accompanied by a LOA from JSA and a PSA/DNA LOAs with one grading the bat a GU 8.